Two Oregon ranchers, a father and son, Dwight and Steven Hammond, were tried and convicted for arson under the Anti-terrorism and Effective Death Penalty Act of 1996 in 2012 after igniting fires without required permits and/or during burn bans that spread to public BLM land in 2001 and 2006. The mandatory minimum sentence under the anti-terrorism law is five years. On October 30, 2012, U.S. District Judge Michael R. Hogan gave the Hammond’s lesser sentences than the required mandatory minimum under the law because he believed their actions were not consistent with the intent of the law by citing the Eighth Amendment (cruel and unusual punishment) and that to sentence them according to the letter of the law was “grossly disproportionate to the severity of the offenses here (Capitol Press)” and would go against his conscience (see court transcripts). He sentenced Dwight Hammond to three months in prison, Steven Hammond to one year and one day, and fined them $400,000 for damages. Unfortunately for the Hammonds, changing the sentence was outside of the Judge’s purview and the government lawyers appealed. In February 2014, a three judge panel of the 9th U.S. Circuit Court of Appeals (see Hammond Opinion) ruled in favor of the government saying, “A minimum sentence mandated by the statute is not a suggestion that courts have discretion to disregard,” and stated that the Hammonds must be returned to court for resentencing. That sentencing took place in October 2015. According to an article on Oregon Live, Judge Stephen J. Murphy III said in his opinion, “Even a fire in a remote area has the potential to spread to more populated areas, threaten local property and residents or endanger the firefighters called to battle the blaze.” He noted that a teenage relative of the Hammonds was nearly burned by the fire and pointed out the damage to grazing land as well. “Given the seriousness of arson, a five-year sentence is not grossly disproportionate to the offense,” the opinion states, in sending their cases back to the district court. At first blush this case seems ridiculous, but does it signify the increasing value of public lands and that to devalue or destroy them is an act of domestic terrorism? If this is the direction the government is heading, and hotly contested controversy over a commodity is any indicator, one can reasonably come to the conclusion that land management issues are going to continue to surface and legal action is going to increase. The Bermuda Triangle that is land management, formed by the government, traditional users, and new progressive users, may have just produced a precedent setting case that rather than being ridiculous is indicative. Land management has always been controversial, but the tide may be shifting on a much more significant level. Whereas the interests controlling land has largely been that of the extractive industries, such as mining, timber harvest, and cattle grazing, the economic driver today is overwhelmingly environmental and recreational tourism. This economic shift is putting power into the hands of new, progressive industries and people, many of whom have an environmental bent or ethic, who are shaping the debate over the use and management of public lands, marked by a growing interest in conservation and ecosystem management, and it reveals itself through changing priorities within land management agencies. When we look at policies through the American paradigm of providing the greatest good for the greatest number of people, we are now seeing, more than ever before, that a healthy environment, abundant recreational opportunities, and human health and well-being are significant goods, and those goods are driving a huge economic sector. As a result, industry leaders and the public within this growing sector have more clout and support in shaping policy decisions. Using this case as the litmus, this essay will look at the actions of the Hammonds, the anti-terrorism act as a legal tool for public land managers, and the consistent application of the law across states, specifically in the Cliven Bundy case. While all land management agencies have to deal with competing interests and conflict, none have to more so, seemingly, than the BLM. One of the reasons for this may be the changing management requirements and priorities of the BLM to include protection. BLM land is largely rangeland, which refers to lands that are, or have historically been, used by domestic livestock, and that until recent history was undesirable interior land managed for grazing and mineral extraction. 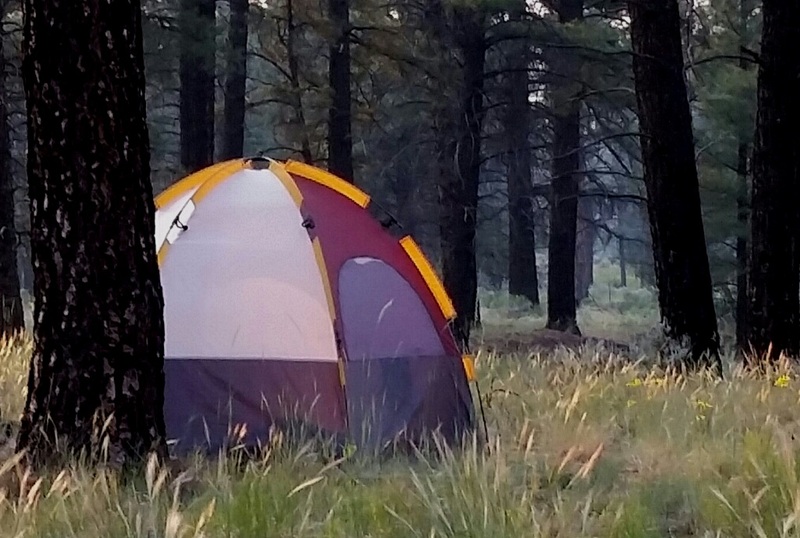 Because it wasn’t National Park quality land or forests, the users were small in number and had the land to themselves. The BLM had no real reason to strictly regulate or restrict users because there weren’t a lot of them and there weren’t diverse groups competing for use. That all changed in the 1970s with the Federal Land Policy and Management Act (FLPMA) and the Public Rangelands Improvement Act, but it really came to a head in 1996 when President Clinton designated Grand Staircase Escalante National Monument, creating the first National Monument managed by the BLM. That designation instituted protection as one of the BLMs managing mandates. He went on to designate 14 more national monuments on BLM land. All of the above, set forth by Congress or by presidential proclamation, required the BLM to consider the health of the range and manage the land in a manner that would improve the quality of rangelands. But special designations bring not only new users to include environmentalists, recreationists, and scientists, but also increased awareness and scrutiny. While one can only speculate as to how the Hammond’s viewed the public land their cattle grazed on, their actions are quite revealing and leave little room for doubt. It appears that their troubles came to a head in 1994 when they were arrested for blocking the Fish & Wildlife Service for building a fence that would keep the Hammond’s cattle out of the Malheur Wildlife Refuge. The Hammond’s claimed that they had water rights to the watering hole being fenced out and that they had a right to use the road through the refuge because it was a historic right-of-way. Because they had never been required to have a permit to use it before, they believed they had historic rights to use it. It appears, however, that prior to this blowup the Refuge managers had had many run-ins with the Hammonds. According to a High Country News article published in 1996, “Hammond allegedly made death threats against previous managers in 1986 and 1988 and against Cameron, the current manager, in 1991 and again this year.” The problems managers at the refuge had with Hammond was that they did not follow the rules and regulations for grazing or moving cattle through the refuge and that because they had repeatedly ignored the FWS’s requests to abide by the rules, the FWS had no choice but to build the fence. When the feds showed up to build the fence the Hammond’s placed their Caterpillar scraper on the boundary line in their way and disabled it. Only after a tow-truck arrived to remove the Caterpillar did Hammond jump in and move it, almost hitting an agent with it, all while yelling obscenities at the federal agents. Cushman also planned to print a poster with the names and photos of federal agents and refuge managers involved in the arrest and distribute it nationally. According to the article he said, “We have no way to fight back other than to make them pariahs in their community,” he said. Due to the pressure of these ranchers and groups, nothing much came of the situation. Later, Dusty said that his grandfather flew his Super Cub over the scene to gauge the effect the fire had on juniper there. The burned land was taken out of production for two growing seasons as a result of the fire. A Utah man, Dennis Nelson, testified that he and his son Dusty Nelson met a hunting party, presumably the Hammond party, on the BLM tract that morning. Both men described a clear day marred by smoke that grew heavier as the morning wore on (OPB). While Dwight and Steven claimed the fire got out of their control and that they intended for the fire to only burn on their property, the account by Dusty not only contradicts them, they clearly had something to gain by burning the adjacent BLM land. According to range cons working for the BLM, the fire did improve grazing conditions on the land – land mind you that the Hammond’s had grazing permits on. Dusty lived on the Hammond ranch until he was 15 and then distanced himself from the family. In 2006, after lightning strikes ignited wild fires on adjacent public land near the Hammond ranch, the Hammond’s back-burned on their property to protect winter feed. They did this during a burn ban and did not give the BLM notice of their intent to burn. They ended up burning an acre of public land on Krumbo Butte. The indictment alleged that the fire threatened to trap four BLM firefighters, one of whom confronted Dwight Hammond at the fire scene. A superseding indictment accused the men of setting fires to interfere with BLM employees and firefighters trying to stop the spread of wildfires. They also were accused of using fire to destroy U.S. property, witness tampering, conspiracy and other charges. In 2012, after deliberating for several hours, the jury returned a partial verdict. They found the two men guilty of intentionally and maliciously damaging real property of the United States by fire, in violation of of 18 U.S.C. § 844(f)(1), based on their respective roles in the 2001 Hardie-Hammond Fire near Steens Mountain, where BLM leased grazing rights to them. Steven Hammond was also convicted of arson in the 2006 Krumbo Butte Fire on the Malheur National Wildlife Refuge and Steens Mountain. The jury also acquitted the Hammonds of some charges and failed to reach a verdict on others, including conspiracy charges brought against Steven and Dwight. The government also dropped other allegations of setting other fires in 2006. U.S. Attorney Billy Williams explains the circumstances of the prosecution and sentencing of Dwight Hammond Jr. and his son Steven Hammond for arson. There is something rare and notable about spending time in places not transformed by civilization; far out places where you can be alone. I’m not talking about the jewels of the country, a Yosemite or Grand Canyon. I’m talking about the places that some might consider ugly or barren, that don’t draw the crowds, and which more than likely require dirt roads and contingency plans to visit. These places are the ones that most have never heard of and even less will ever see. In a sense, they are secret places held in trust and loved by locals. There are large swaths of “unremarkable” land that are our last hope for refuge and sanctuary, that are not loved and visited for their majestic peaks and valleys but rather for the blessings they bestow on the visitor. And while going to these places is a physical experience, it is not just the act of being there that is special; it’s the power of the place to seep into your soul that is most salient. All the notes and nuances of such places strum the spectrum of senses and produce a music you can only hear there: the sound of silence below a high wind blowing in the trees, the scent of unspoiled earth and vegetation, the sensation of being alone, but not. It is those things that stay with you and haunt your dreams long after you are gone and which leave a longing for the impossible: a reversal of time and a repeat of what has passed in order to feel it again. 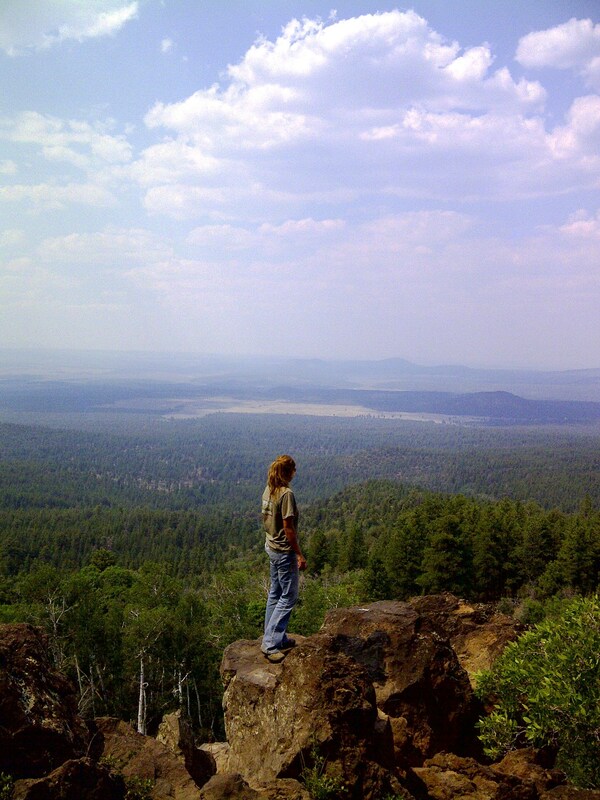 I’m not sure if it was fate, destiny, or just plain luck that got me out to such a place, but I found myself in a far-away forest of juniper, pinion, and ponderosa pine high up on a desert plateau. The sound of a dozen chainsaws ripped through the still air and released a fragrance that only mythology can describe. While everyone worked, their minds far away, lost in the physical labor of cutting, I was intoxicated by the scent released from the freshly cut softwood of juniper, my mind grappling with the juxtaposition of the mechanized saws and the natural and surprising scent that followed their roar. As I worked pulling branches away for my sawyer my mind dove into the pages of literature. 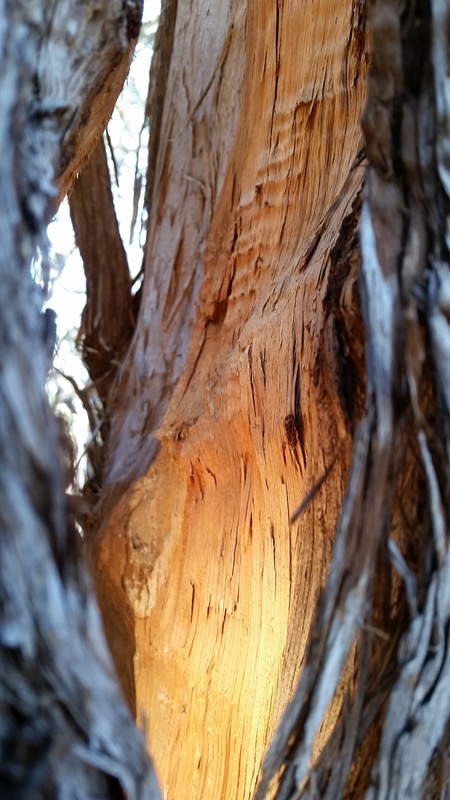 I recalled Edward Abbey’s description of burning juniper and argued to myself that if burnt juniper rivaled Dante’s smoking censers in paradise, fresh cut juniper must rival ambrosia of the gods, a divine exhalation of the earth meant for immortals. And of course being mere mortals we must cut it open to get it, plunder to steal for ourselves that which is meant for the gods. Oh the mysteries Prometheus revealed when he stole fire. I let myself sink into the thick, sweet, and sticky air, nearly drunk from the pungent aroma rising off the trees at my feet. It smelled of birth, of time, and awoke in me the visceral act of inhaling life and being filled by it. It’s a scent that visits you in your sleep and elicits a longing for damp earth and shaded forests. I closed my eyes and thought, everyone should be so lucky. My stay in the juniper fields ended in a hazy, fire induced sunset that acted like a shade tree cooling off the sultry landscape. The physical ache in my muscles and the smell of juniper stuck to my skin was proof enough that I had really been there. But would I ever smell it again? Perhaps. Perhaps only in slumber. 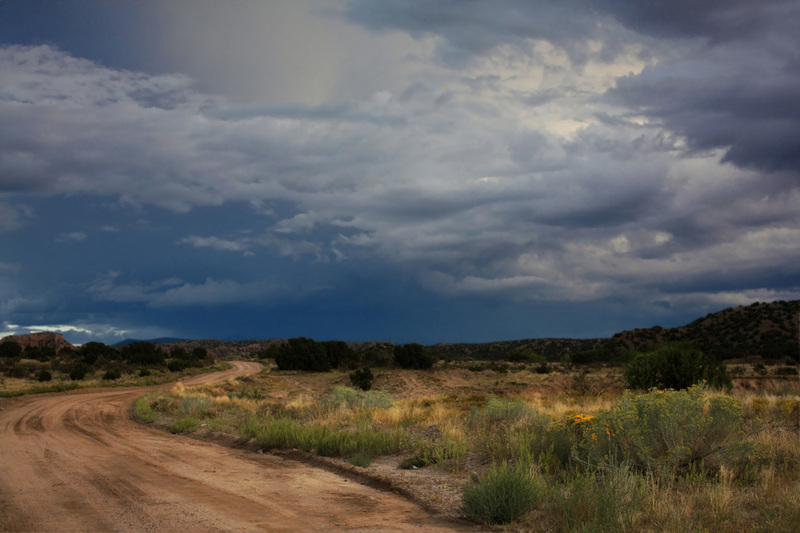 When I zipped into my sleeping bag, exhausted and ready for sleep, I let loose a wish that Morpheus would periodically ride in on the cool breeze and fill my dreams with wind-swept dirt roads, quiet meadows and the scent of juniper. 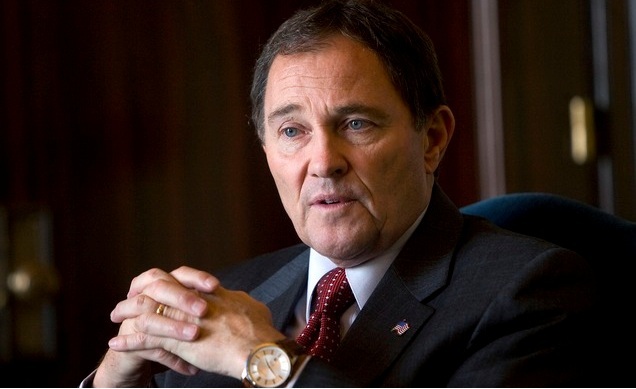 On March 23, 2012 Governor Gary Herbert singed H.B. 148 into law. 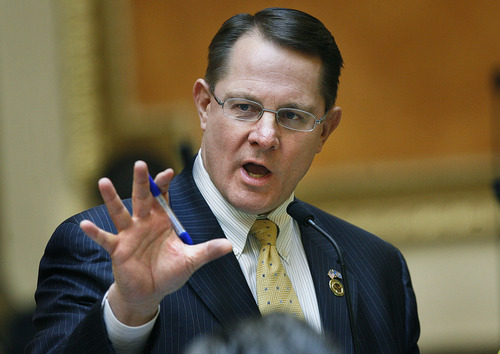 The Transfer of Public Lands Act was sponsored by Utah Rep. Ken Ivory, largely unknown until recent events in Bunkerville, Nevada and Blanding, Utah shot him into the limelight. He is the man of the hour for states’ rights proponents. 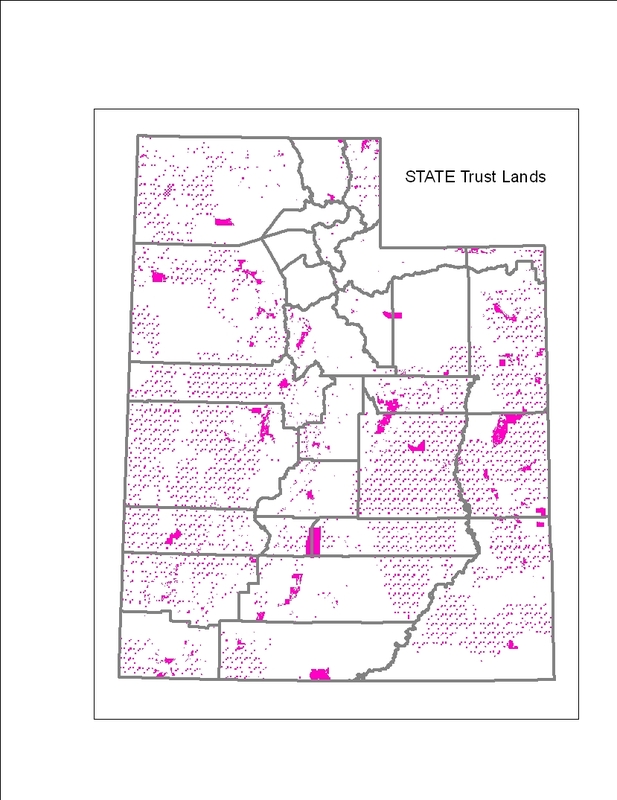 After watching the debate in Salt Lake City about who should manage public lands I wondered if Ivory had a legitimate case and started looking into the arguments in favor of state takeover of public lands. But while Ivory’s argument seemed credible on the surface, after digging into the history and law of public lands, I don’t believe it holds water. In order to understand the articulate and legal language used by Ken Ivory in his defense of transferring public lands to the state, you have to understand what he is arguing. Ken Ivory believes that the Enabling Act was a compact, whereby both parties were to get and give something, that it was a two way street. This is true, but not the way he is arguing it. He is proposing a legal theory: that the U.S. had a duty to dispose of federal lands (2). To put another way, he states that the U.S. promised to give the land to the states upon entry into the Union. In today’s world, this sounds legitimate, but when you dig into the history, you see that Ivory is ascribing intentions on historical parties that were never there. In other words, he is rewriting history. Why would he do this? Because there is great wealth in those lands and he has come up with a novel way to argue for control of them. According to a recent article in The New American, “Utah State Rep. Ken Ivory, one of the summit organizers, noted that there is an estimated $150 trillion in mineral resources “locked up in federal lands” across the West (4).” That’s a big reason to wrest control of those lands. Of course no one knew this in the late 1800s, but if Ivory can make it appear that way, maybe the courts will relent. Surely the people of the Utah territory must have realized those lands would be worth something at some time and would have demanded they eventually be turned over, right? Probably not. While this might fool Utah constituents, I doubt it will fool the courts. First, let’s look at the idea of the Enabling Act being a compact between the state of Utah and the U.S. government. There is some truth to that. In order to be admitted into the Union Utah had to comply with conditions required for statehood to demonstrate their loyalty and to show they would become “Americanized.” Because the Utah territory was run by the Mormon Church, their loyalty was in question. 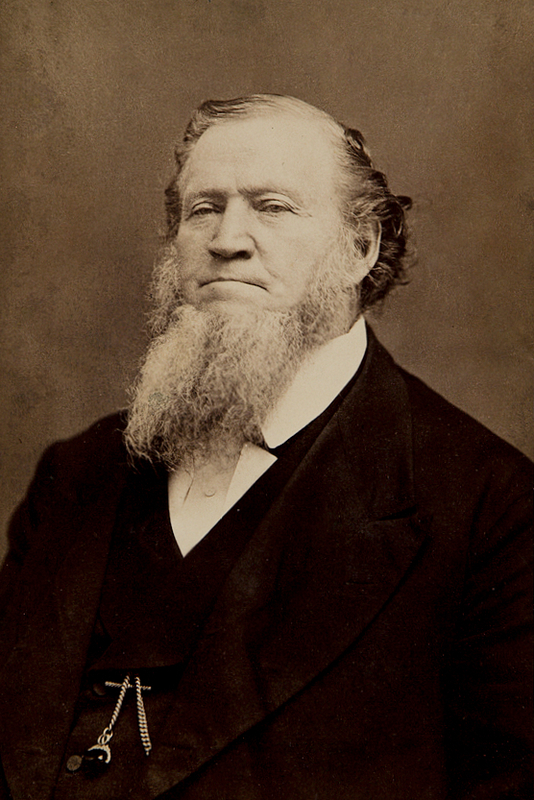 The issue of polygamy and Mormon political power could also be seen as an issue of trust and loyalty; as one anti-Mormon advocate wrote in 1869: “It is time to understand whether the authority of the nation or the authority of Brigham Young is the supreme power in Utah.” Critics of the Mormon Church saw it as a potentially disloyal body that could not be trusted with control over a state government (1). As a territory, they were under the plenary power of Congress which meant Congress could use legislation to suppress polygamy and even the Mormon Church itself, and it did. So in essence, they had no sovereign rights or protections. 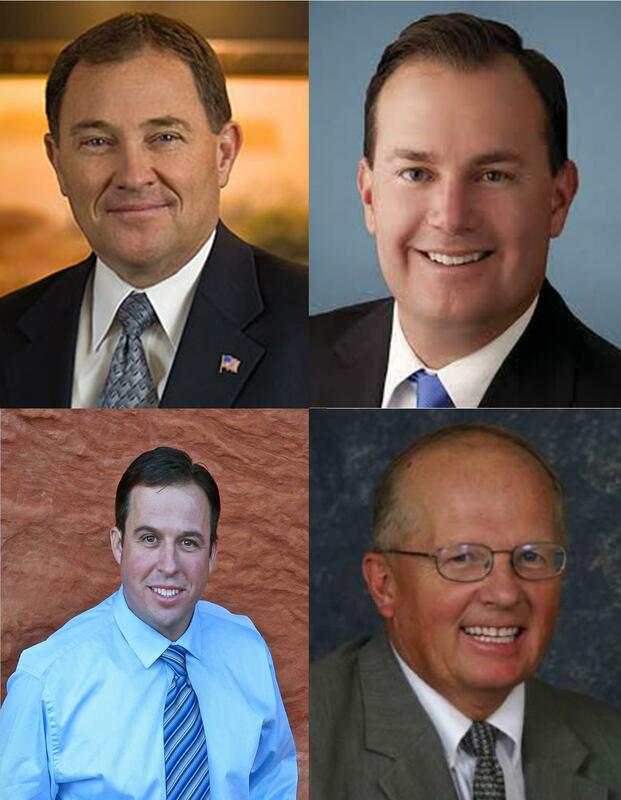 Statehood would grant Utah constitutional rights, federal protections, and state sovereignty. They applied for statehood in the 1860s and wanted it badly enough that they were willing to accept almost any conditions to have it. There were three main conditions they had to meet: 1. They had to forever revoke polygamy; 2. They were required to provide a public school system free from sectarian (church) control; and 3. The Mormon Church had to give up political power in the state by disbanding its political arm, the People’s Party, and ensure that a fair and republican form of government was established. It took some doing, but roughly 20 years after petitioning the government for statehood the conditions were met and Utah was accepted into the Union with the passing of the Enabling Act in 1896 (1). Part of the reason it took so long for Utah to gain statehood is because the minority, non-Mormons in Utah vehemently opposed it on grounds that the state would be governed like a theocracy, where the non-Mormon minority would have no voice or rights. Therefore, statehood was largely an issue of equality and of the separation of church and state, not over ownership of lands (See H.R. REP. NO. 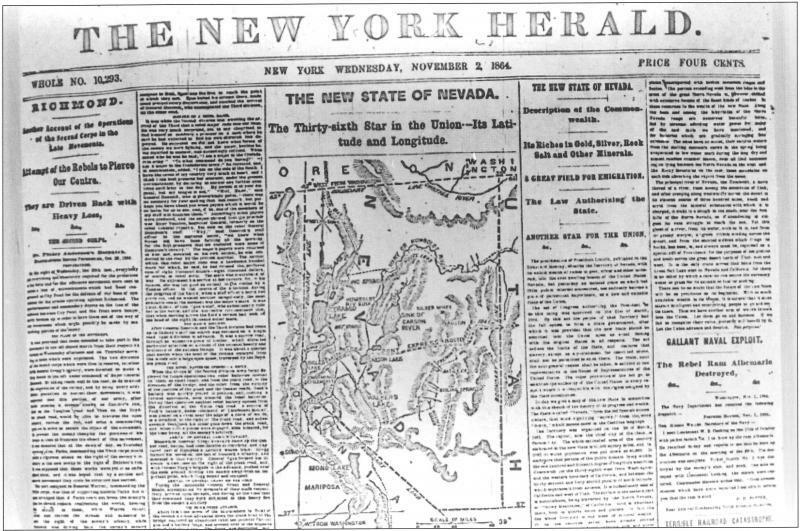 50-4156, at 13 (1889) minority report opposing proposal for statehood for Utah stating that Congress should not admit the state until it is “satisfied that within said Territory there is no union of church and State”) (1). Utah acquiesced to all the demands and did become a state. As for the federal government’s obligation under the Enabling Act, that obligation was constitutional. The obligation of the U.S. government is covered under the Guarantee Clause in the Constitution: The United States shall guarantee to every State in this Union a Republican Form of Government, and shall protect each of them against invasion and domestic violence. There is nothing suggesting a “promise” to transfer land to the states or that the states had any sovereign rights or powers over federal lands. There is, however, great power given to the U.S. over federally owned lands under the Property Clause of the constitution which states: The Congress shall have power to dispose of and make all needful rules and regulations respecting the territory or other property belonging to the United States; and nothing in this Constitution shall be so construed as to prejudice any claims of the United States, or of any particular State. Ken Ivory states that under the equal footing doctrine, the states should have been given all public lands at entry into the Union, but the courts have not seen it that way. They have made the distinction, not by a definition of a compact, but by constitutional powers. 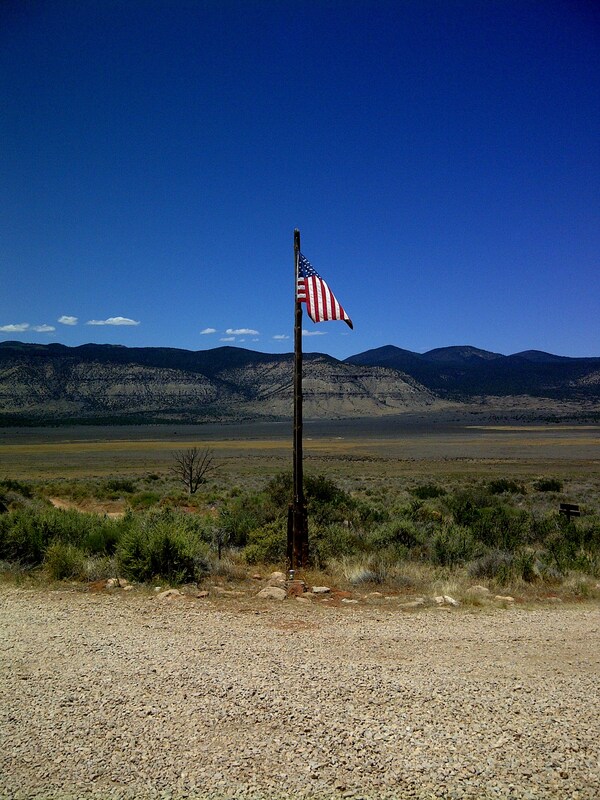 While Nevada did not sue under a duty to dispose, they did argue under their enabling act which is virtually the same as Utah’s in regard to public land. But all that aside, the federal government has disposed of lands quite extensively and has been since this country was founded. Nearly 816 million acres of the public domain lands were transferred to private ownership between 1781 and 2006. Furthermore, at least one section (1/36th) of every 6-mile square township was given to the states for the maintenance of public schools within the said township (State Trust Land). In total, the federal government has disposed of 1.275 billion acres of the 1.841 billion acres it acquired from state cessions, foreign treaties, and land purchases (3). In Utah, many of those lands were transferred into private hands, such as the railroad, and through state trust lands, and the federal government is still transferring land, as was seen a week or so ago when an agreement was reached between the state and the BLM (Land Exchange). Funny enough, however, in the past the states were so reckless and unethical with the lands granted to them, the federal government had to come down even harder on them in the form of tougher restrictions and regulations (1), which begs the question: would the states really make better land managers than the federal government? I would argue that the states would not make better managers of the land. Furthermore, I would suggest that the federal government is under no duty to dispose of public lands, even though they have done so; but rather that it is their prerogative. The truth is, the government has, with respect to its own lands, the rights of an ordinary proprietor or private individual and may sell or withhold from sale, as was found in Canfield v. United States (2). The bottom line is Ken Ivory and his ilk want the land so they can sell it to industry and extract all the wealth from it. How they will afford to pay for wildland firefighters, environmental degradation and contamination, loss of wildlife and subsequent hunting and angling dollars, or afford to lose any of the $6 billion in recreation and tourism dollars is beyond me. And this says nothing of the inherent danger in privatizing public lands. While they state they would keep parks and wilderness areas under federal control, how many other pristine and little known spots will suddenly be off limits? And how long before those federally protected places are encroached upon or ruined by private interests? Even though I don’t think Utah will win this fight, all outdoorsmen and women should be alarmed at the thought of a state takeover of public lands. Those lands are our lands and were given to us in trust; ensuring this land ethic and heritage was one of the best and most visionary decisions ever made by our government. What will happen to the great outdoors if new managers take over? I seriously doubt the states will manage better, be as equitable, or continue to promote the priceless values found in those lands. Anything worth having is worth fighting for. We cannot afford to let the states dominate this conversation and bamboozle us into thinking it is good for us. Some argue that the issue of states’ rights and government over-reach is not about fact but about principle (the assumption being that somewhere along the way something unconstitutional happened). That’s possible, but what this statement over-looks, is that laws represent the concrete reality of principles – and the law and supporting facts can be examined. For example, some claim that if you only look at the legality of the Cliven Bundy case, then yes, he is in the wrong; but, if you look at the principles, then you will see that the federal government is wrong. They state that the federal government “shouldn’t” have passed environmental laws to begin with (this points us back to the underlying assumption). Others assert that Bundy has neither the law nor principle on his side. The question is: Can one be legally wrong but principally right? We all know that laws can be unconstitutional, as can behavior, so how does one determine which is right and which is wrong when the issue is as convoluted at state verses federal power? Thankfully for us, some things can be known. Since a principle is a primary source or ingredient that forms the basis of something, in this case, what is constitutional, and behavior is limited by law (which upholds constitutional principles), then we have two options to explore: The constitutionality of the law and the constitutionality of the individual, the group, or the state. 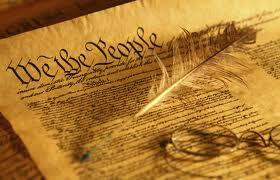 Since the constitution is used as the ‘source’ or foundation for law in the U.S., let’s start there. Federal land ownership began when the original 13 states ceded their “western” lands (between the Appalachian Mountains and the Mississippi River) to the central government between 1781 and 1802. Substantial land acquisition in North America via treaties and purchases began with the Louisiana Purchase in 1803 and culminated with the purchase of Alaska in 1867. In total, the federal government acquired 1.8 billion acres in North America. As for the U.S. government promising they would give all federal lands back to the states; that was never the case, though it may have been the states’ understanding, or standing interpretation. “The initial federal policy generally was to transfer ownership of many federal lands to private and state ownership. Congress enacted many laws granting lands and authorizing or directing sales or transfers, ultimately disposing of 1.275 billion acres. However, from the earliest times, Congress also provided for reserving lands for federal purposes, and over time has reserved or withdrawn areas for such entities as national parks, national forests, and wildlife refuges (2). Believe it or not, the first direct authority for federal management of these lands, and implicit shift toward ending disposals and retaining lands in federal ownership, was the Taylor Grazing Act, enacted by Congress at the behest of western ranchers. The end of disposals came a few decades later following two laws that were passed in 1964: the Public Land Law Review Commission (PLLRC) and the Classification and Multiple Use Act, which directed BLM to classify lands for retention or for disposal and to manage the lands for multiple purposes, whose recommendations culminated in the Federal Land Policy and Management Act (FLPMA). FLPMA also, however, required more cooperation between federal and local and state governments in regard to land use decisions. In other words, the local and state governments are allowed in the decision making process. This is the right and legal way for local and state officials to address land use plans. It may not win them any political points, but it is the best avenue available. That being said, Congress and the states exercise concurrent, not mutually exclusive, jurisdiction over the public domain. To the extent that the laws of each conflict, federal law is supreme and preempts inconsistent state law. Back to the divestiture of land by the Federal Government to the states, it began in 1800 in the state of Ohio which led to the establishment of the General Land Office created in 1812 to administer the disposal of federal lands (which as has been stated in previous posts, led to the creation of the BLM). Congress enacted numerous laws to grant, sell, or otherwise transfer federal lands into private ownership, including the Homestead Act of 1862 and the General Mining Law of 1872. Grants to railroads in the 1870s gave them incentives to create much of the nation’s transportation system. Nearly 816 million acres of the public domain lands were transferred to private ownership between 1781 and 2006. The federal government also granted 328 million acres to the states, the largest tract given to Alaska. As can be seen, much of the public domain was given back to the states. One of the biggest land grants came in the form of state trust lands, meant to provide funding for schools via revenues made from land development. SITLA is very similar to the BLM except in one way (Use of Trust Lands): it is run like a business. In other words, they manage lands for virtually the same purposes, but charge fair market value. For example, fair market value for grazing is $16-$20 a head of cattle on state land, whereas the federal price is roughly $1.30. Politics are what keep the prices at pre-1930s rates on federal land. If Cliven Bundy really had his way, and the lands he grazed were state land, he would be paying upward of 16 times what the government charges. In Utah, SITLA just recently voted to raise grazing prices. As one author asked, “Why would the commodity interests—ranchers, loggers, et al.—want to own federal lands that already offered such a bounty of subsidies?” The reality is that ranchers did not really want to own the federal lands. Instead, ranchers and their representatives sought to stifle the effects of the 1970s federal legislation increasing environmental restrictions on and competition for the use of the public lands (7). In other words, they didn’t want to share. They did not want equal rights afforded to other stakeholders with interests in the land. Furthermore, the state of Utah claims it is unfairly being cheated out of economic benefits due to federal lands, but when Grand Staircase Escalante National Monument was designated, the land exchange greatly benefited the state. In fact, one oil and gas parcel acquired by the state in this exchange provided 60% of all state trust land oil and gas revenue in 2006. Furthermore, the United States essentially wrote Utah’s school kids a $50 million check. (4). While the designation at first appeared to be devastating for the state, it turns out, it has been incredibly profitable. So profitable in fact, that the governor is skimming the first $1 million off the top annually to go into a legal account to sue the federal government for control of federal lands (5). To be clear, $1 million annually is going into a fund to sue the federal government, from profits gained via land the federal government gave to the state of Utah. All of this despite the legislative council stating it is a frivolous and wasteful endeavor. In other words, the legislature’s and governor’s own legal team has advised them that they have a slim to no chance of winning. So based on this history, and current state of land management, is the federal government acting unconstitutionally? I think not. The dishonest players are the states and local politicians. They know that if they keep peddling this mendacious myth, they will continue to keep their base and continue to gain political points. It is manipulative and dishonest. But a `states’ rights, un-cooperative federalism, Sagebrush Rebellion, and anti-environmental’ rhetoric certainly pays dividends at the polls, just ask Senator Mike Lee. Mike Lee represented Kane County in their legal battle over road closures and then ran on getting public lands back, and as a result, beat Senator Bennett. 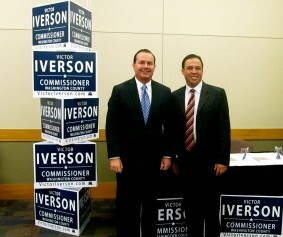 Now his natural resource adviser, Victor Iverson, is using the same tactics running for Washington County Commission. It is such a political lottery ticket that federal overreach was the primary theme at the Utah Republican Convention (6). Clearly there is a political incentive to continue these tactics, but let’s not suggest it benefits the citizens. While we can certainly question the constitutionality of laws and argue constitutional principles, it should not be aimed solely at the federal government. In light of the facts, it appears that not only do the states’ right activists not have the law, the facts, or the constitution on their side, they do not even have the foundational principles they lay claim to. It is time to turn a critical eye toward state and local politicians who are peddling lies, wasting money, and who amount to little more than used car salesmen pushing a sour deal. Their shenanigans are helping no one but themselves. This is not to say that states should not keep the federal government in check, because they should. But in doing so, their attempts should be justifiable, feasible, and reasonable. Furthermore, they should publicly note and acknowledge current law and legal standing in an act of good faith and honesty. They owe that not just to their constituencies, but to all citizens of all political persuasions who deserve to know the truth. That way the citizenry can be informed and possibly support the state when it deserves it. 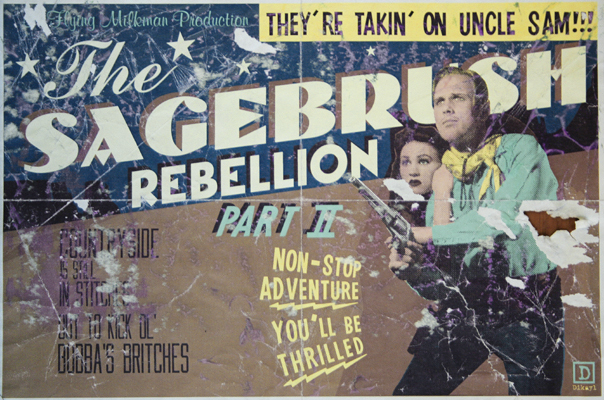 As of yet, all of the above mentioned seems to be lacking from the Sagebrush rebels’ battle with the federal government. 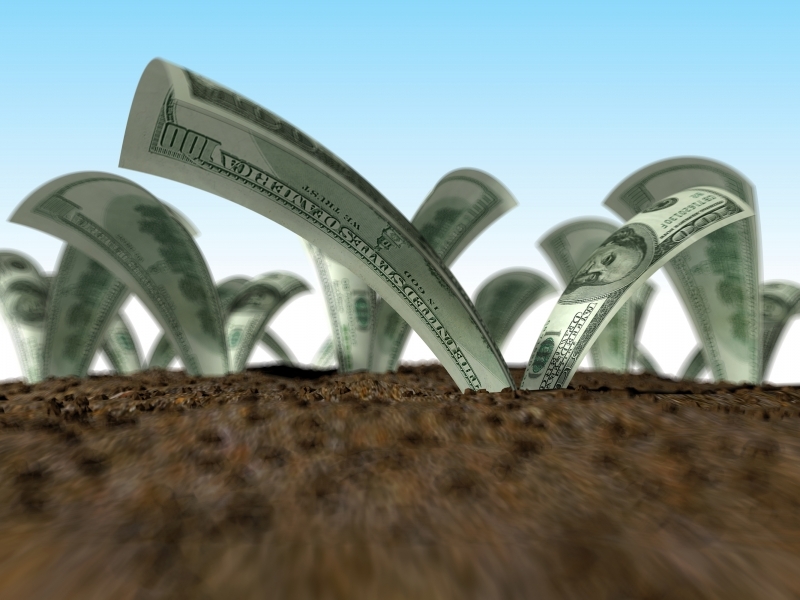 In the end, it may be time for the federal government to take a cue from such institutions as Utah’s SITLA and allow the market to set prices on land deals and uses. Allowing the market to work may be more equitable for all parties, and may even put money back into the pockets of tax payers via the discontinued use of subsidies. Who knows, maybe then our public lands will make a profit rather than continue to incur a deficit. not telling the truth; lying. Synonyms: lying, untruthful, dishonest, deceitful, false, dissembling, insincere, disingenuous, hypocritical, fraudulent, double-dealing, two-faced, two-timing, duplicitous, fictitious, falsified, fabricated, fallacious, invented.